Sig Rapid WB™ enables rapid testing of water associated with fuel. Providing reliable results and indicating the presence of microbial contamination. The test utilizes the enzymes that the microbes produce to indicate their presence. 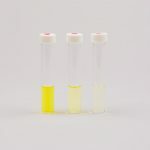 The enzyme causes a colour change within the test within 1 hour. Sig Rapide WB™ is a semi-quantitative test which indicates the level of microbial contamination present in water associated with fuel. The test detects the enzyme produced by a wide range of microbes when growing in a fuel tank environment. The test can rapidly indicate when a microbial contamination problem is present in the water associated with fuel. Answer – No. 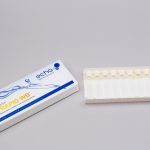 The Sig Rapid WB™ test is design to detect the levels of microbes typically found in water associated with fuel and is not designed to test fuel directly. To test a fuel phase sample directly please use the MicrobMonitor2 test. How fast does the Sig Rapid WB™ test work? The Sig Rapid WB™ test is an enzyme based test kit and is much faster than culture test methods. The test will give a result after incubation at 35°C for 1 hour. Is the Sig Rapid WB™ test sensitive? 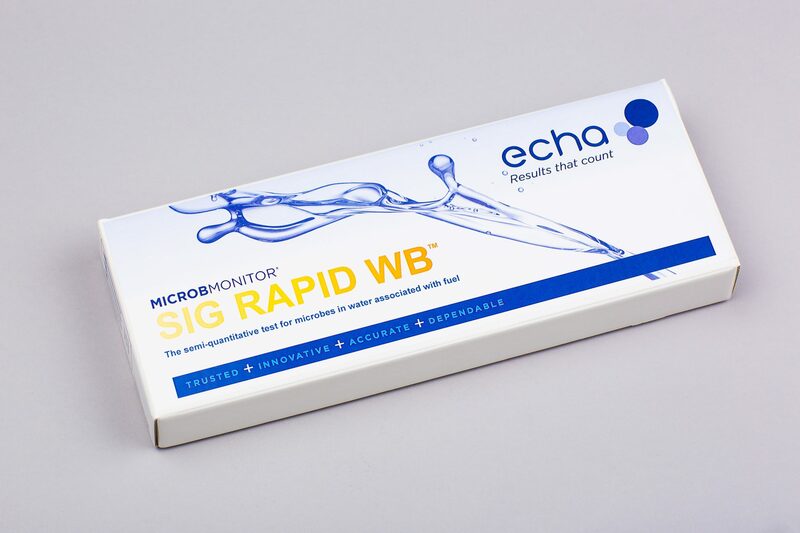 The Sig Rapid WB™ test is designed to detect microbial contamination in water phase when active proliferation has begun. It is not designed to detect the normal background levels of microbes present in water associated with fuel. Therefore it will not give a strong positive result if microbes are not actively multiplying and growing on the fuel which the water is associated with. 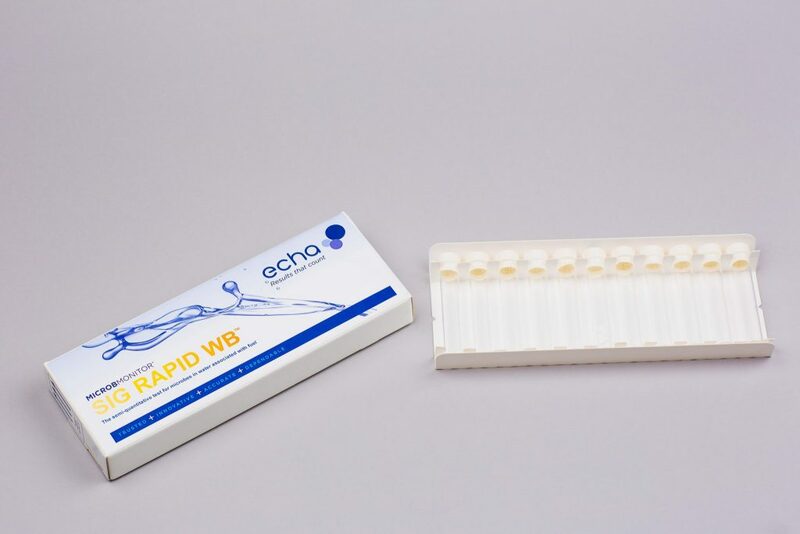 What is the shelf life of the Sig Rapid WB™ test? The shelf Life of the test is 6 to 12 months dependant on storage conditions. 12 months when stored frozen, 6 months when stored in a cool dark room or refrigerated. A small incubator can be used to incubate the tests. The test is so small that individual tests can be incubated in a pocket close to your body.